Drug Free Sport International supports the work of certified athletic trainers in high school and collegiate communities that work to educate student-athletes on making positive decisions on health and wellness. They work tirelessly to prevent drug abuse, correct dietary supplement miseducation, and as safeguards on the front lines of preventing addiction. 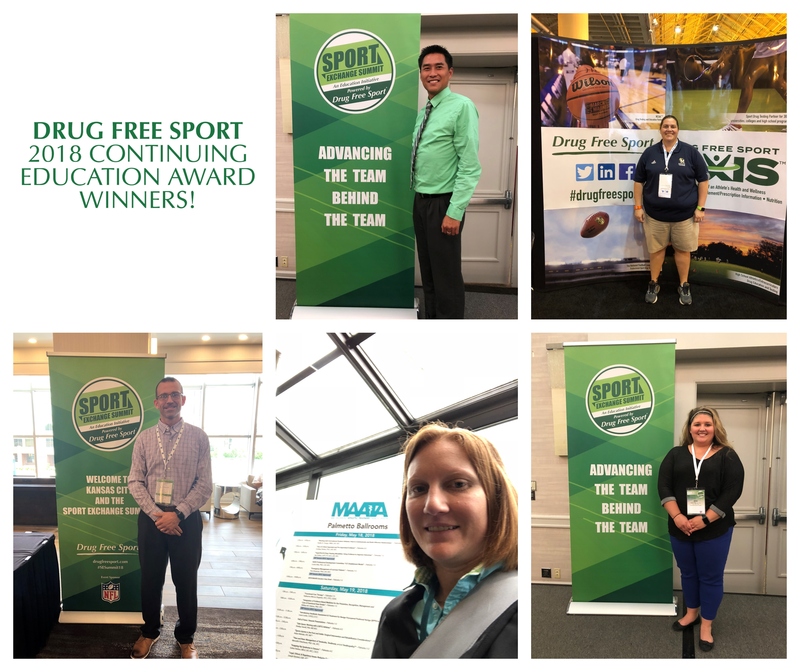 As a part of this commitment, Drug Free Sport has a Continuing Education Award competition specifically for certified high school and collegiate athletic trainers in these roles. Since 2013, Drug Free Sport International has granted more than $28,000 in continuing education funds toward certified athletic trainers in high schools, colleges, and universities across the United States.